The year 2014 was globally the hottest year on record for the past 135 years, with December being the warmest on record, according to data recently published by the National Oceanic and Atmospheric Administration (NOAA). 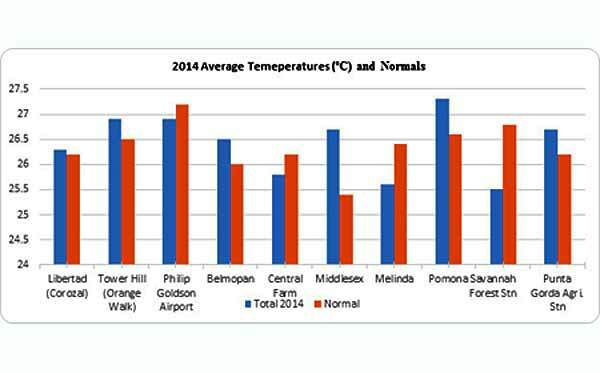 While Belize did not record its hottest year last year, records reviewed by Chief Meteorological Officer Dennis Gonguez indicate that 2014 was one of Belize’s hottest years on record. “It was found that with an average temperature of 26.8ºC / 80.2ºF, last year was the 14th warmest year on record. It was tied with the years 1983, 1992, 2006 and 2012. 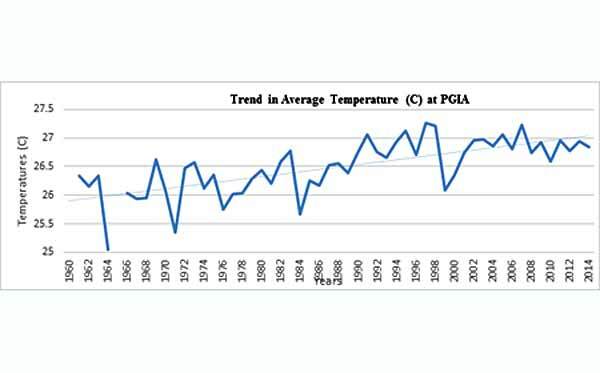 The warmest year was 1997 when temperatures averaged 27.3 ºC/ 81.1 ºF at the PGIA,” said Gonguez. He noted that so far for the 21st century, 11 of the past 15 years have been the warmest on record. “Trends in average temperatures indicate a rise of about 1 ºC across the entire time series from 1960 to present at the Philip Goldson International Airport (PGIA),” he said. The accompanying graph with temperatures spanning 1960 to 2014 demonstrates how the average temperate in Belize continues to rise over time. 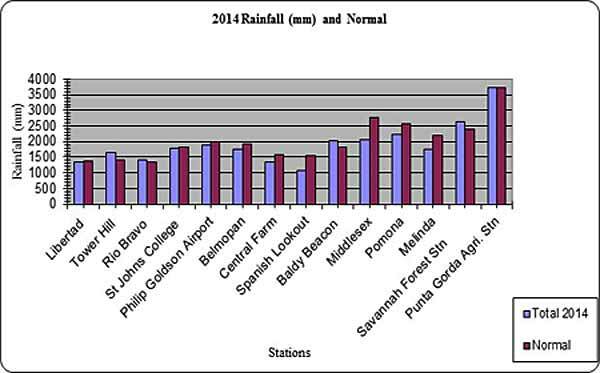 While temperatures were considered above average for 2014, rainfall was normal to slightly below normal. An anomaly was experienced in 2014, with three months of extended dryness in the heart of the rainy season, from June to August. Gonguez notes that while Spanish Lookout was the dry spot, with the total rainfall there being a mere 68.3% of the normal amount, Tower Hill was on the opposite extreme with rainfall totalling 117.4% of the normal levels. Belize was not threatened by any systems this past hurricane season, the Chief Met Officer also noted.